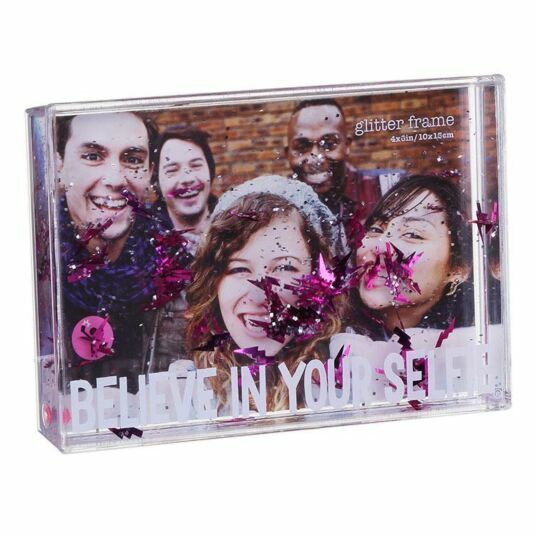 Give a unique gift for a Birthday with this fun and sparkly Photo Frame. The clear plastic box frame is filled with tiny pink and silver flakes of glitter. 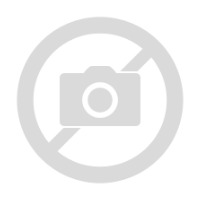 Simply remove the back to insert your favourite photo. This selfie themed frame is printed with the words 'BELIEVE IN YOUR SELFIE'. Shake the frame and tiny flakes of glitter flutter around the image within.